Inspired by Sir Rowland Hill (1795-1879). crimson satin ribbon to tie round the top of the sack. Please note: Due to our production process, the shade of red used in the name font may vary slightly to the shade of the sack design. 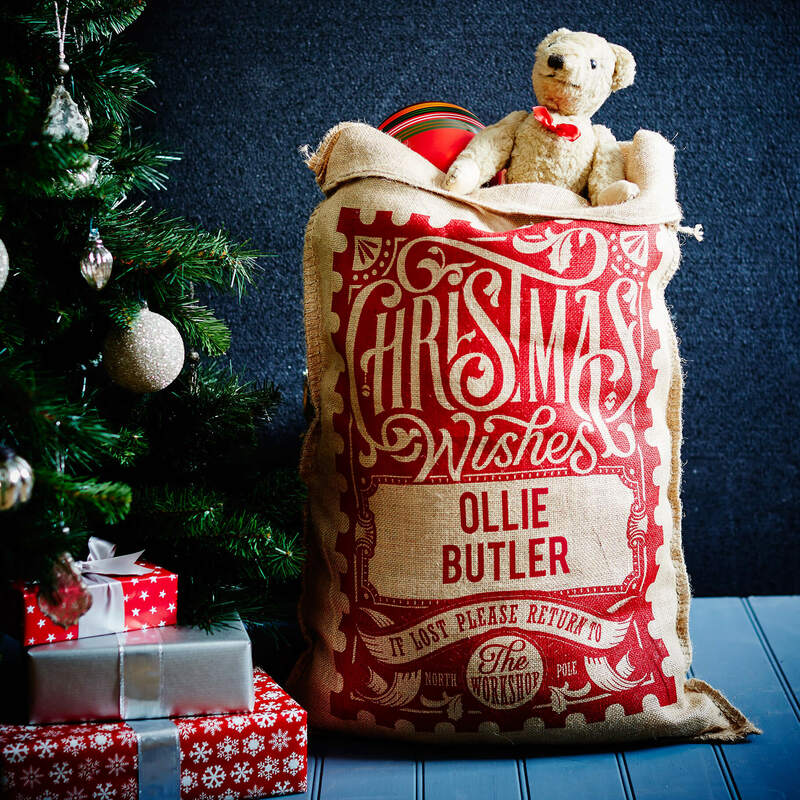 Classic Christmas sack with a modern twist, love! Thanks, the sack looks super traditional and is of excellent quality, can tell they are made to last. Amazing product – thanks so much!